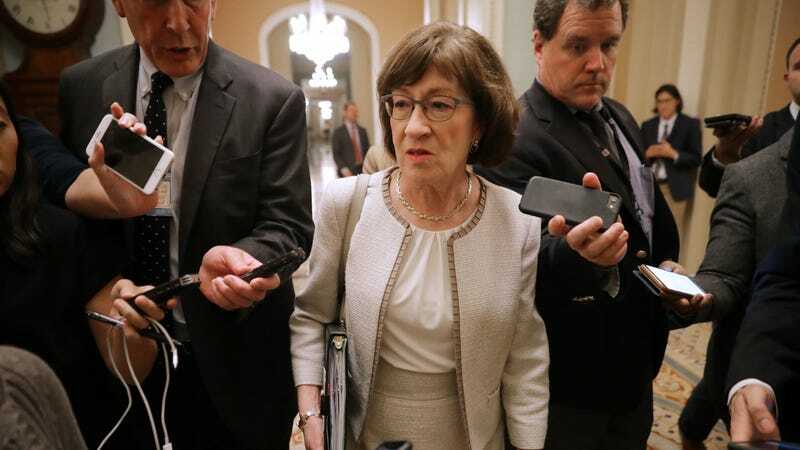 On Friday, Senator Susan Collins, in a 43-minute speech, announced she will vote to confirm Brett Kavanaugh to the Supreme Court. “He has been an exemplary public servant, judge, teacher, coach, husband, and father,” she said. In a nauseating, long-winded speech, Collins stressed that Kavanaugh—despite all evidence to the contrary—has the “judicial temperament” to serve on the highest court of the land.